At a creative standpoint, we are currently witnessing a vibrant era in the automotive industry. Weathering some tough economic conditions and even confronted by challenges for more fuel-efficient vehicle fleets, most of the auto companies have raised their innovation game. Not just accepting the long-standing tradition of furthering design, tangible technology advancing engine, infotainment and other aspects of the driving experience makes exhibitions as such the 2013 North American International Auto Show in Detroit a once-again captivating display. The pickup truck business is a market as gigantic as the vehicles that inhabit it. At Ford Motor Company, truck sales alone (not including utility vehicles such as the Escape, Expedition or Explorer) account for amount 37 percent of their 2012 vehicle sales in North America. Last year, the F-Series line of pickup trucks represents over 645,000 vehicles sold by Ford. When Ford presented a pickup truck as their display centerpiece in Detroit, it makes quite a bit of sense. Overall a rather production-ready design study, the Ford Atlas Concept is immediately remarked to this vehicle being the precursor to future Ford pickup trucks. Revealing multiple design cues of an upcoming Ford truck, the Atlas Concept crew cab exhibits multiple features to benefit use by drivers. A cargo bed not only includes multiple tie-down locations but 110-volt electrical outlets. There is also a Dual-Purpose Tailgate Step and Cargo Cradle that extends for greatly use as well as accessibility. Intelligent electronic features related to the Atlas Concept include a 360-degree camera system and Trailer Backup Assist able to bring relief to a very difficult task. 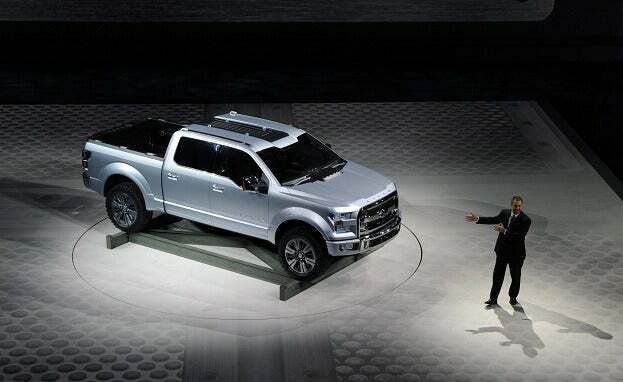 A pickup truck for the not-so-distant tomorrow, the Ford Atlas Concept makes use of a variety of energy-saving technologies. LED lighting is found inside and outside of the Atlas Concept truck. Without going into detail, the Ford Atlas Concept promotes power from a next generation EcoBoost engine. 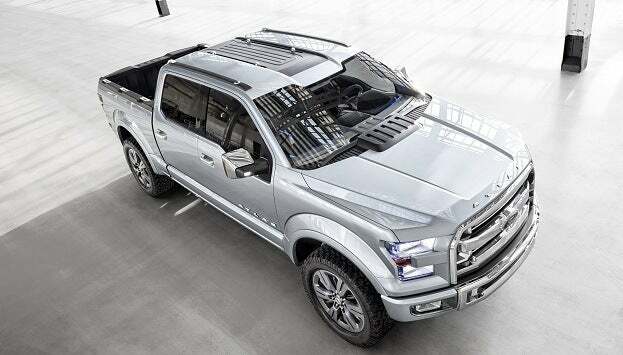 Aerodynamics have also been optimized with the Ford truck concept as active grille shutters, active wheel shutters and power running board are incorporated with this tough vehicle. When the Honda CR-V was introduced in 1997, it made a splash as a smaller sport utility vehicle. In a time where the sport utility vehicle market segment gained life, the CR-V presented a than-rare interpretation of a car-like utility. Times have changed and auto companies have now begun a transition to the next scale of compact crossover utilities. Based on the Honda Fit, attendees of the 2013 North American International Auto Show in Detroit were treated a peek at a close representation of a production crossover set for release in 2014. One of the first things the Honda Urban SUV Concept design excels in doing is winning over critics decrying Honda’s recent trend of conservative styling. Working with an overall length of 169.3 inches, Honda has integrated a decisive coupe-like appearance into the Urban SUV Concept cast by the roof sloping and hidden rear door handles. 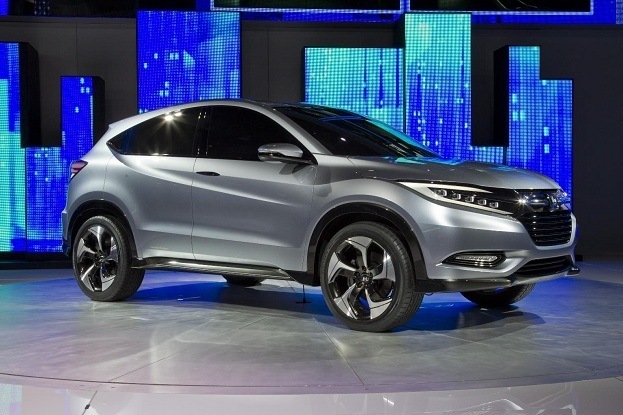 The production version of the Honda Urban SUV Concept will be built alongside the Fit subcompact at a Mexican manufacturing plant set to open by the spring of 2014. Years ago, there was some concern that the Smart brand has reached its peak. The nifty Fortwo has epitomized economy-geared driving across the globe inspiring imitation from others. However, Smart has fought with limited success in attempting to make their vehicles appear hip and exciting to image-conscious buyers. Debuting the Forstars concept car at the 2013 Detroit show, Smart wants everyone to see the electrified powertrain in one of the sportiest forms. Given a front end appearing more like a Jeep product than a Smart product, the Forstars delivers some serious street creditability to the mellow small car brand. In order to present the Smart Forstars concept’s sporty look, the wheelbase was stretched rather sizably compared to their production vehicles. At 97.2 inches, the wheelbase of the Forstars is nearly two feet longer than the Smart Fortwo. An overall length of 139.8 inches places the Smart Forstars closely equal to the span of a Fiat 500. Partly contributing to the Smart concept’s name, a glass roof brightens the small but well-equipped interior. The two-seat configuration features a two-tone leather cabin with a high-quality stereo system and Bluetooth connectivity options. 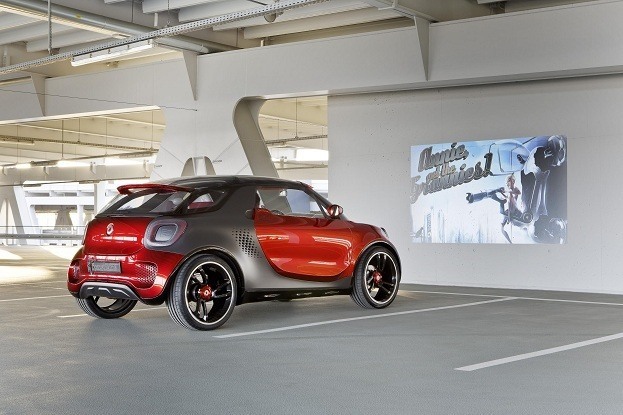 A beyond outrageous (and likely not be to appear on the production vehicle feature list anytime in the future) is the Smart Forstars video projector system. Mounted on the hood, the projector can be activated from an Apple iPhone via Bluetooth. Without regret, I placed the Toyota Corolla on a list of boring cars last year. Not criticizing the vehicle as time-honoured solid, reliable transportation, the Corolla is simply a dull design. In theory, there should be not reason to expect building some style into the sedan would compromise the vehicle’s cornerstones. Well, it appears Toyota agrees choosing the 2013 Detroit auto show as the premiering showcase for a design concept meant to shape the future look of the Corolla. 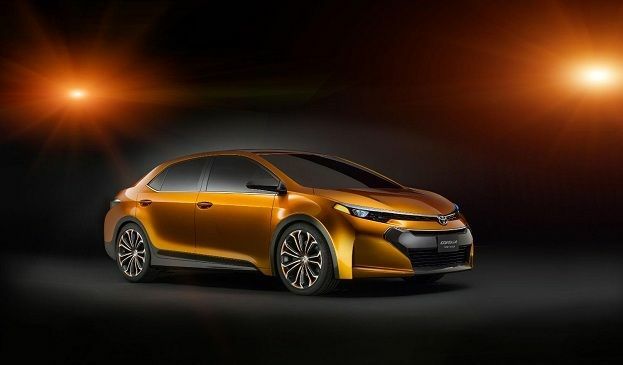 Called the Furia or the Corolla Furia Concept, Toyota is advertising a future compact sedan that is actually attractive. Described as “Iconic Dynamism” by Toyota, the Furia Concept defines an edger four-door. Attitude asserting front end, chiselled bodylines and massive 19-inch wheels of the Toyota Furia Concept sends a strong message that the Hyundai Elantra, Ford Focus and Honda Civic will definitely take seriously. Selling over 290,000 units last year in the United States, the Toyota Corolla is padding a sales volume of nine million vehicles since introduced in 1968. The Detroit debut of the Furia Concept is Toyota’s recognition that the auto company only sees the potential of great days ahead. No Comments on "Detroit Discoveries: 2013 Auto Show Concept Car Highlights"